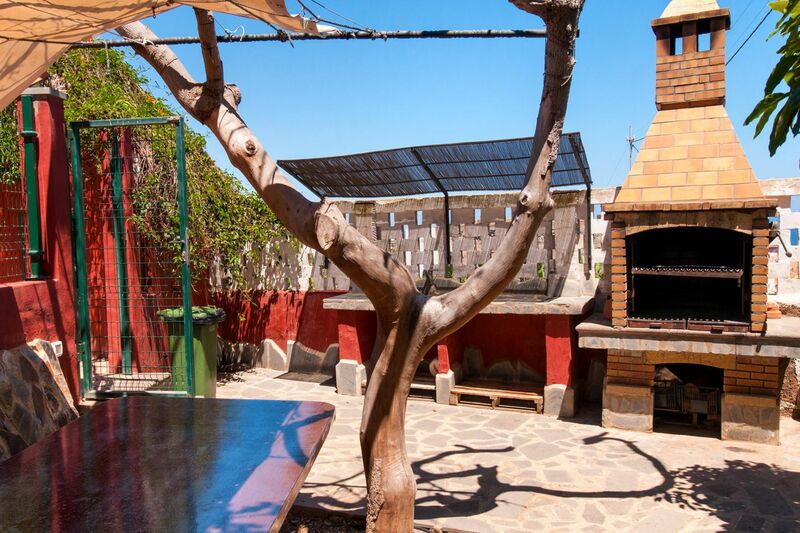 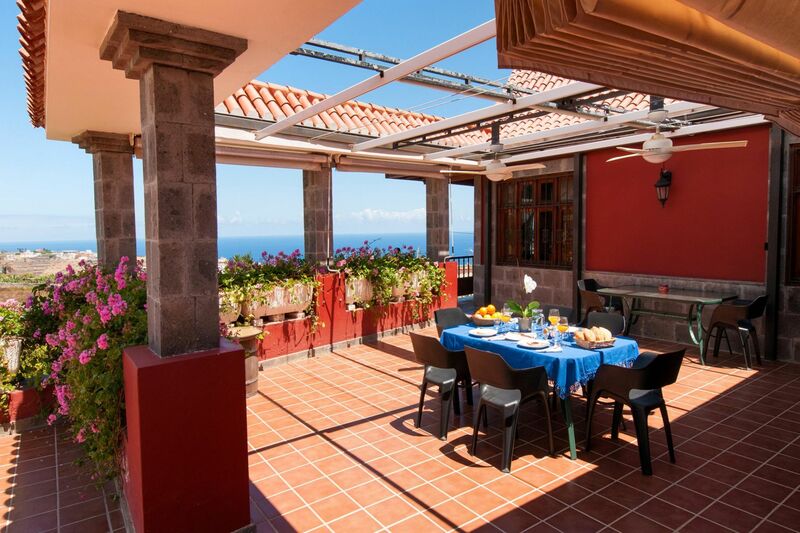 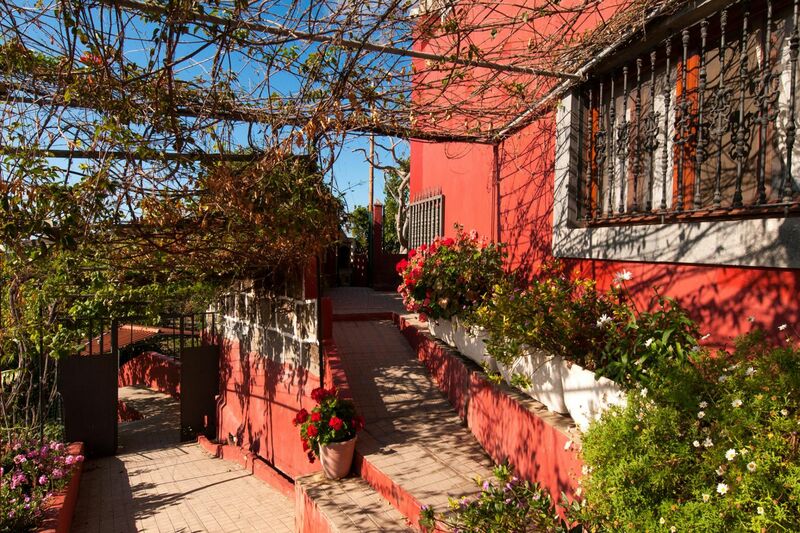 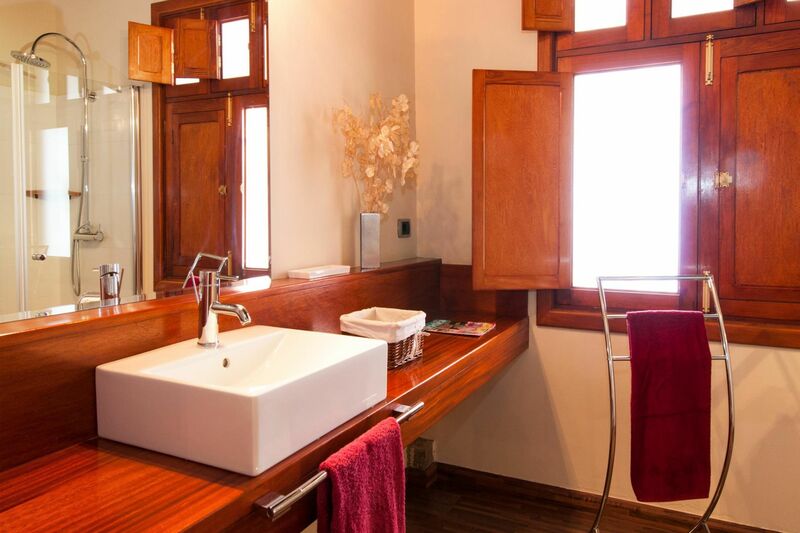 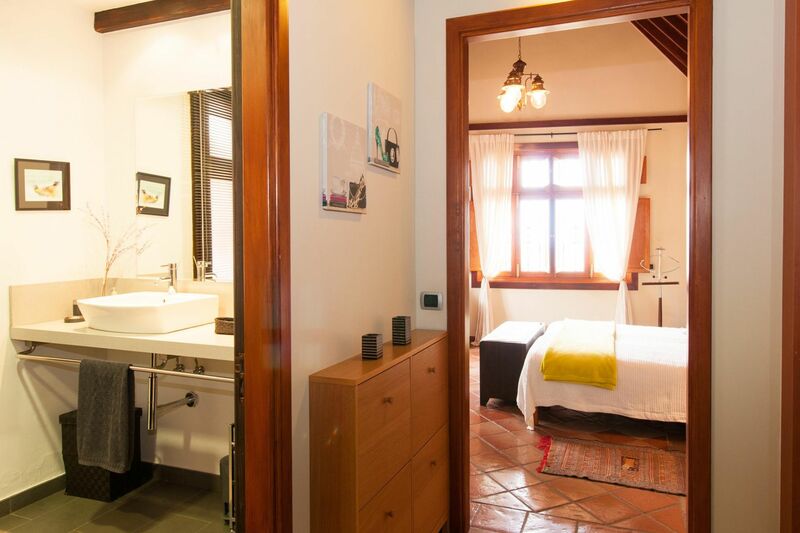 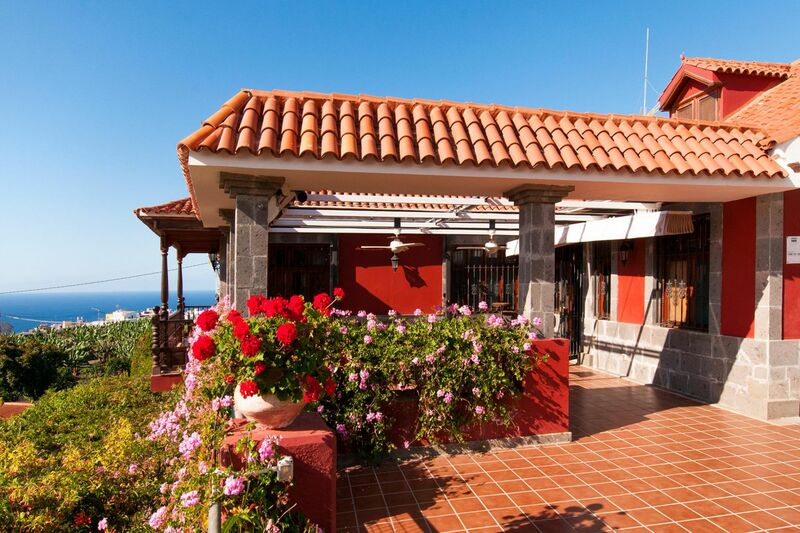 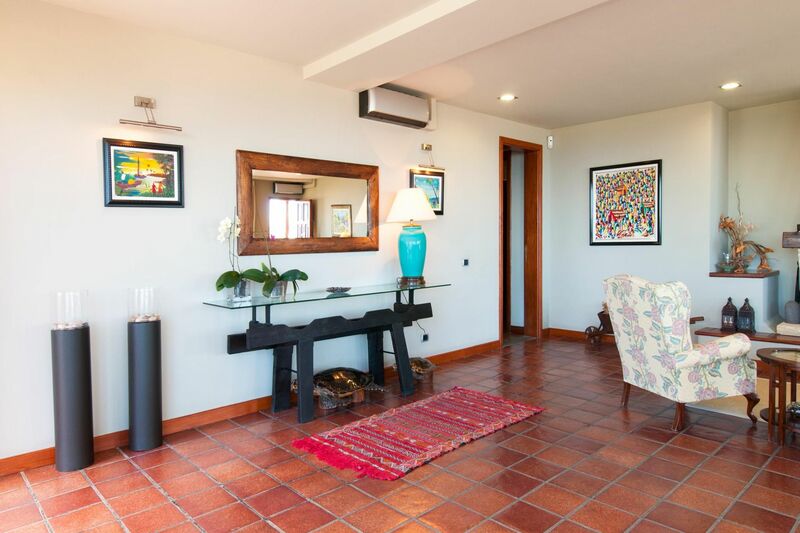 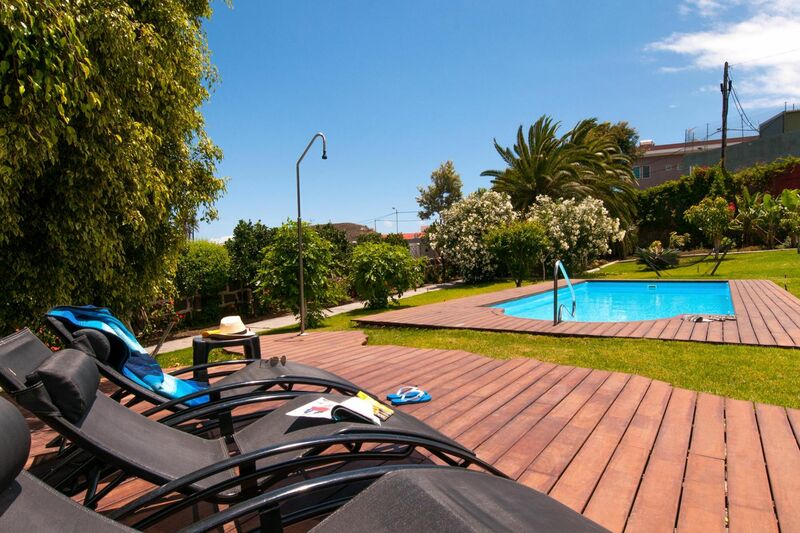 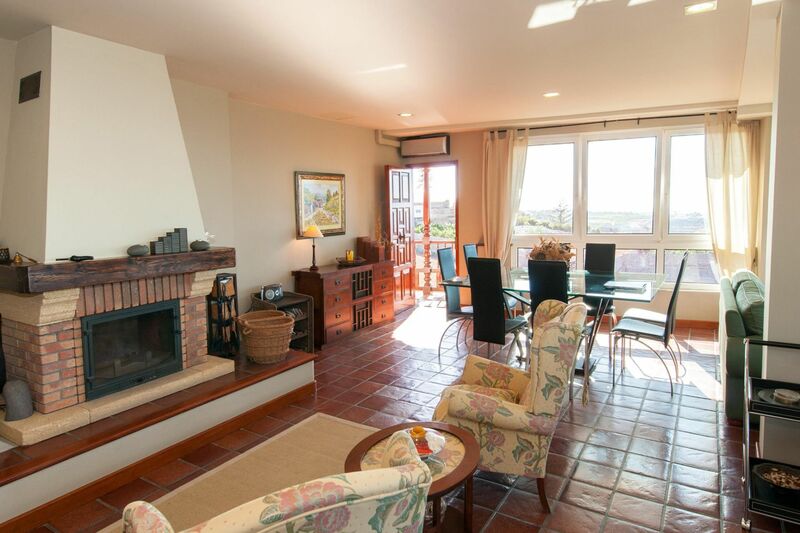 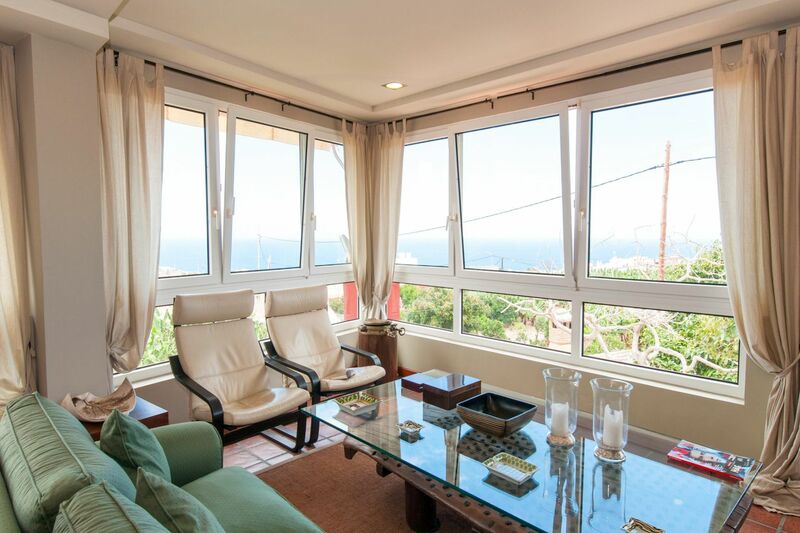 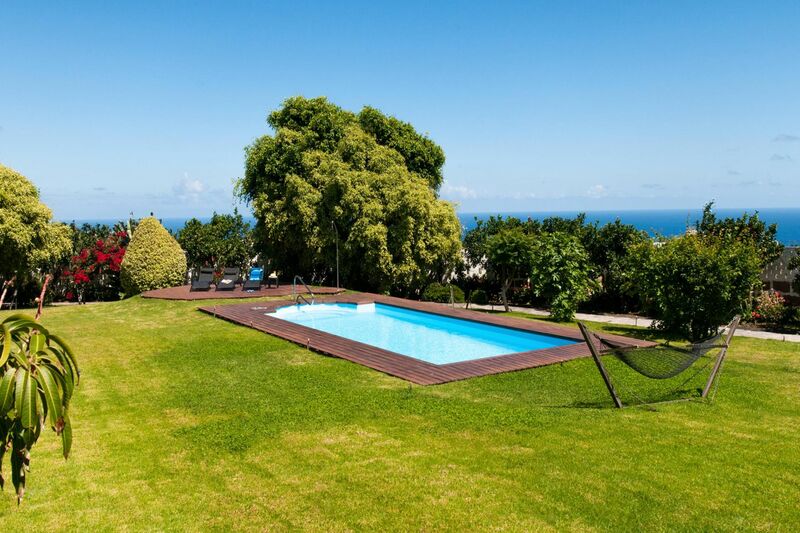 This beautiful and cozy villa has a fantastic location in a peaceful country area but is really close to the well-known Beach of Las Canteras and the lively City of Las Palmas (15m by car). 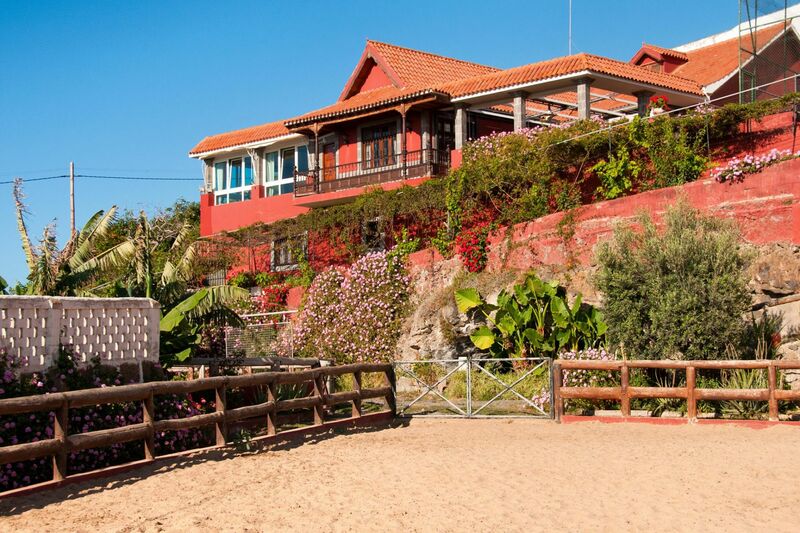 It´s the perfect place from which to enjoy the best of both worlds! 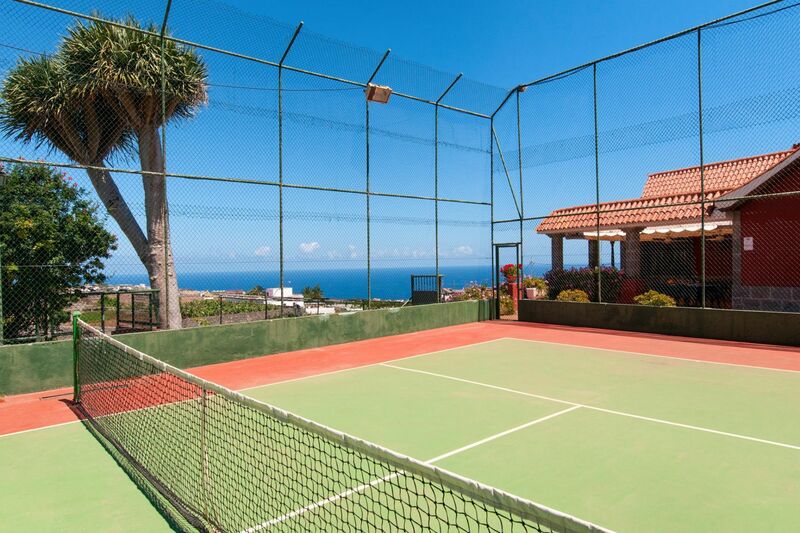 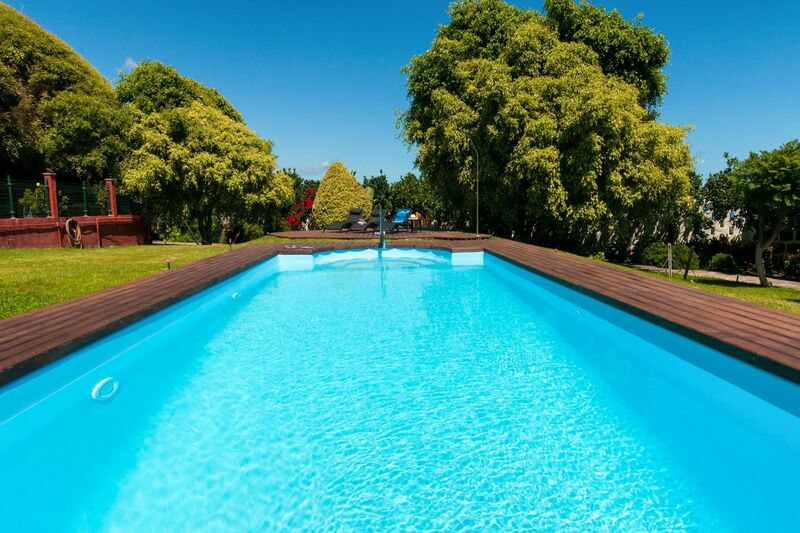 This traditional family villa features a large garden with fruit trees and a relaxing heatable swimming pool where you can swim and sunbathe after playing a match in its private tennis court! 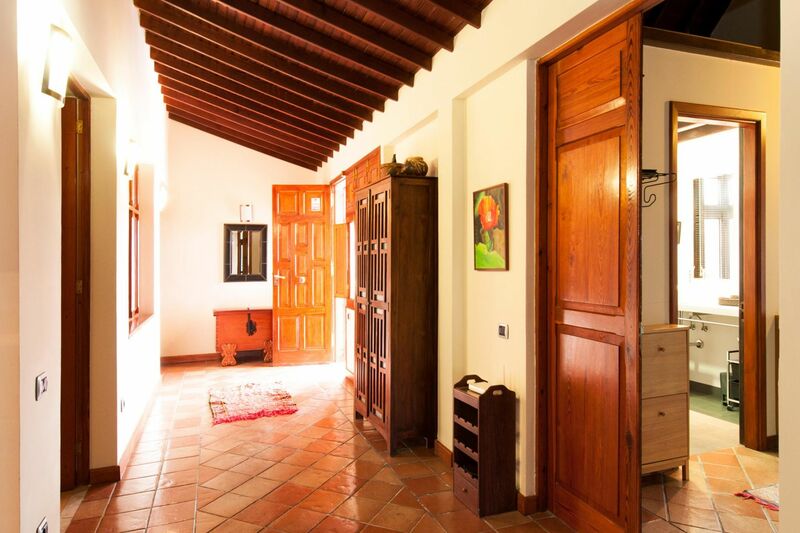 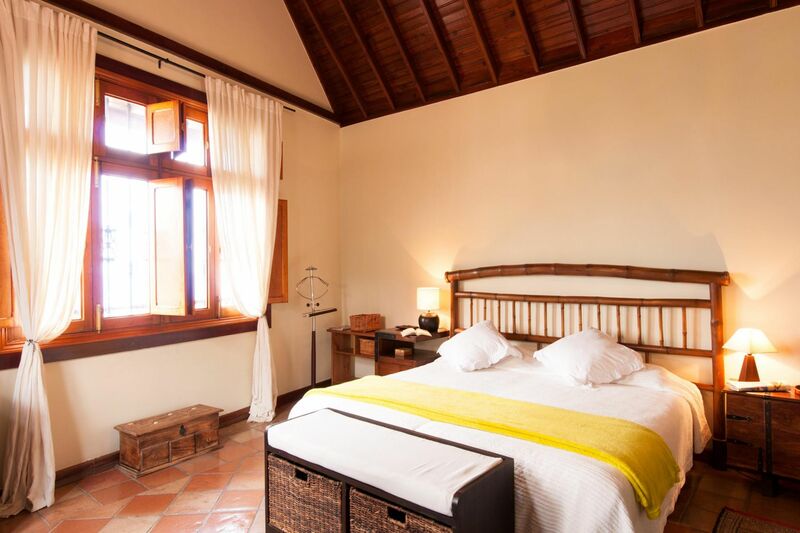 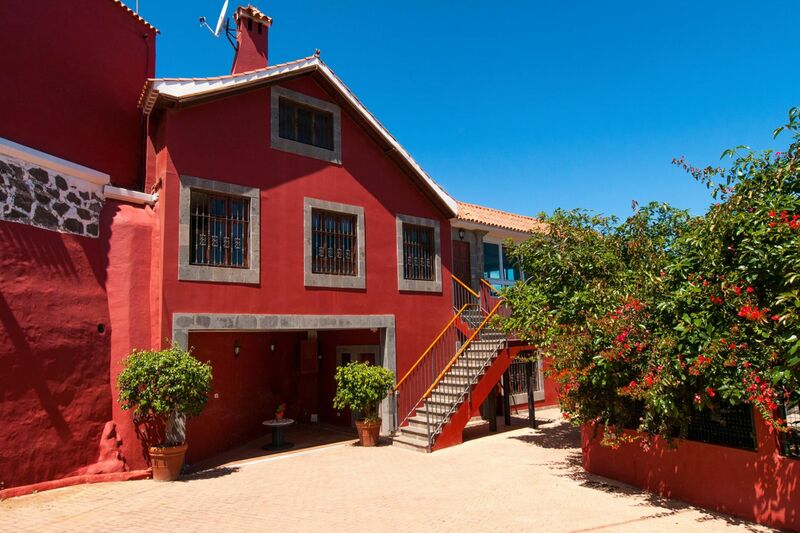 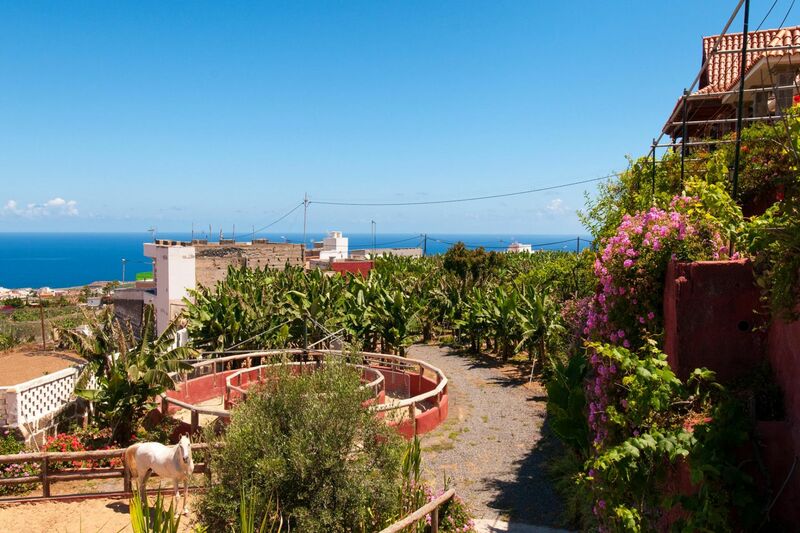 Go for a walk around the stables or enjoy magnificent seaviews while you enjoy a nice breakfast with your family and friends, with fresh bread rolls that are daily delivered to your door (included in the price) and daily fresh fruit collected from the "Finca" (estate). 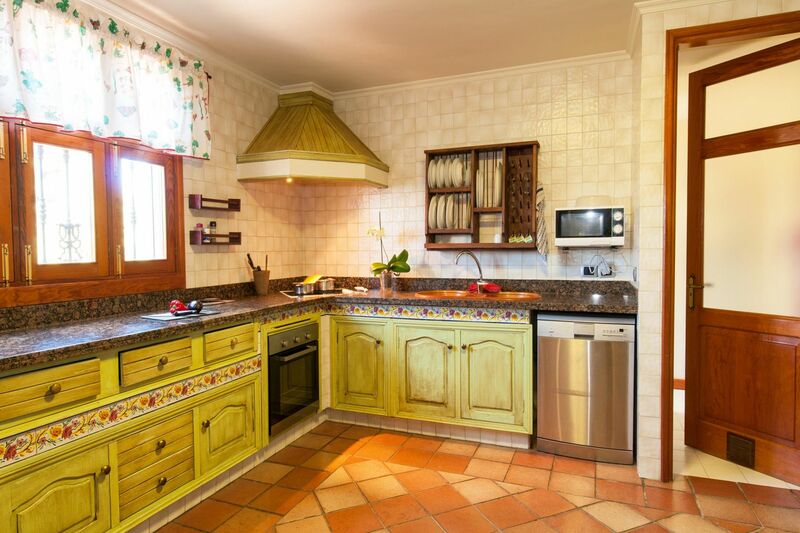 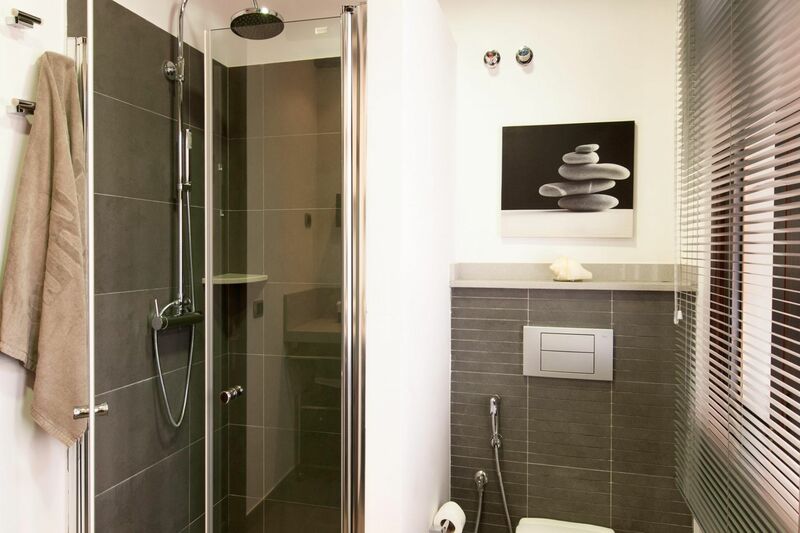 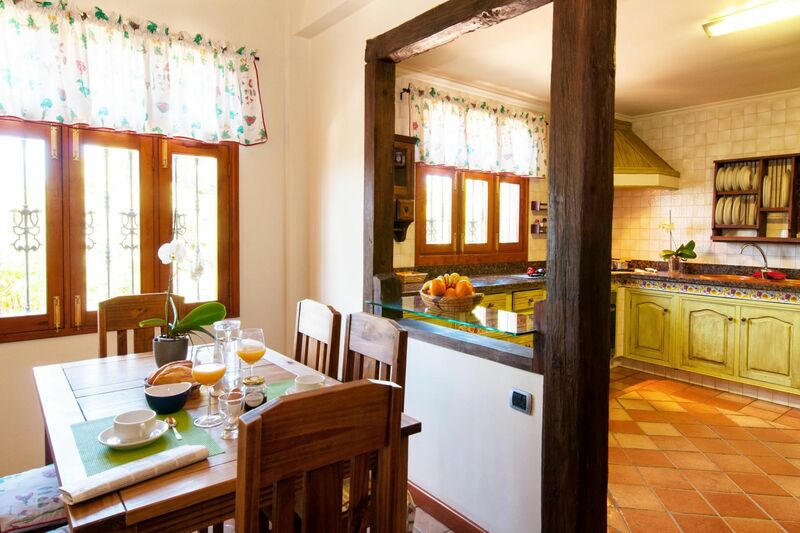 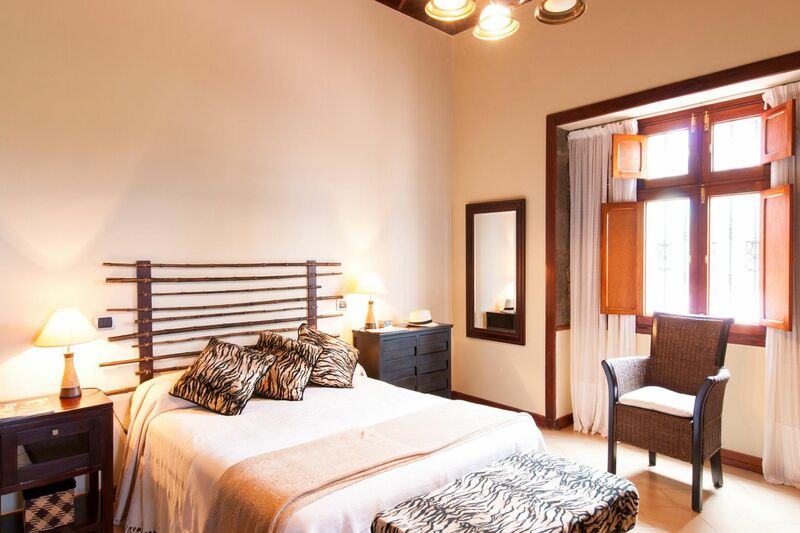 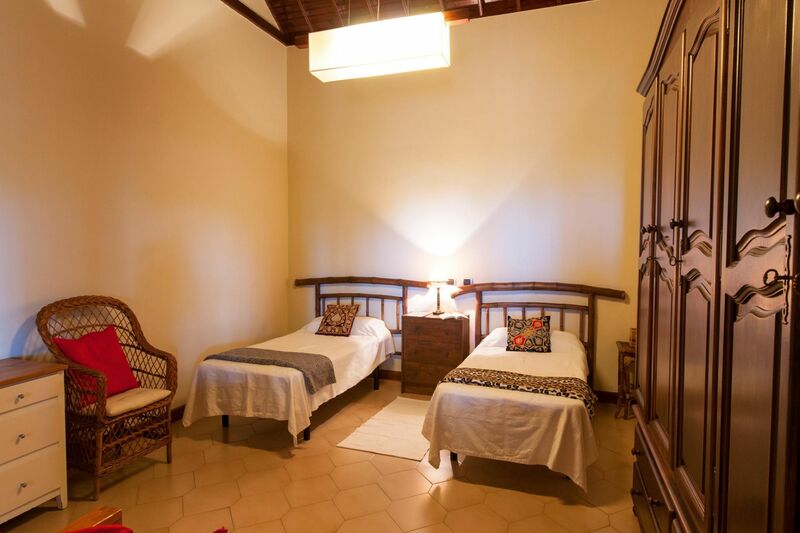 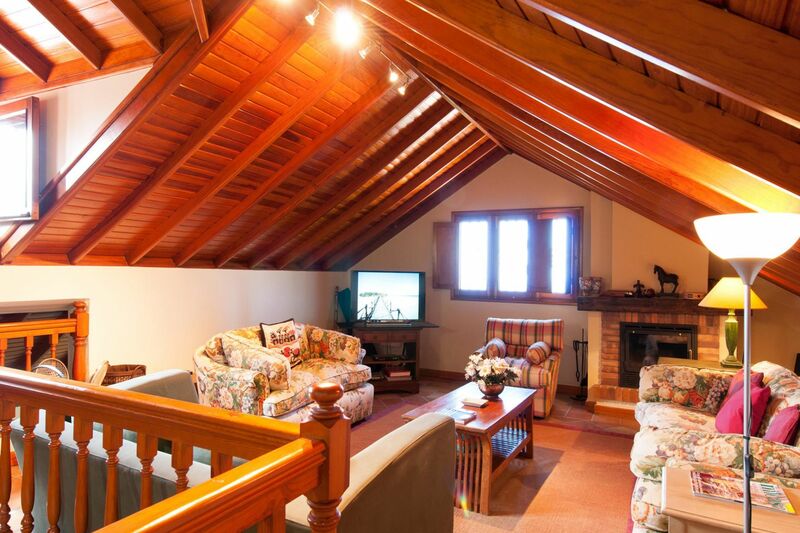 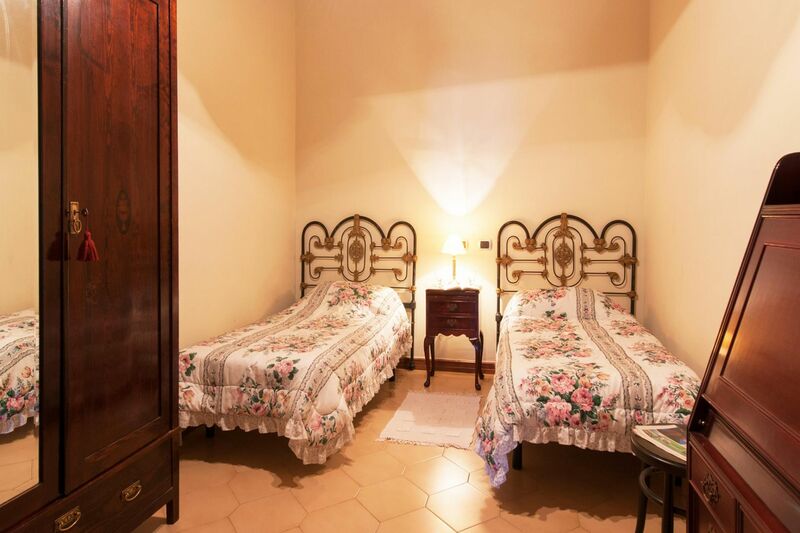 This fantastic and quiet property provides free WIFI and is so well equipped that you will feel at home! 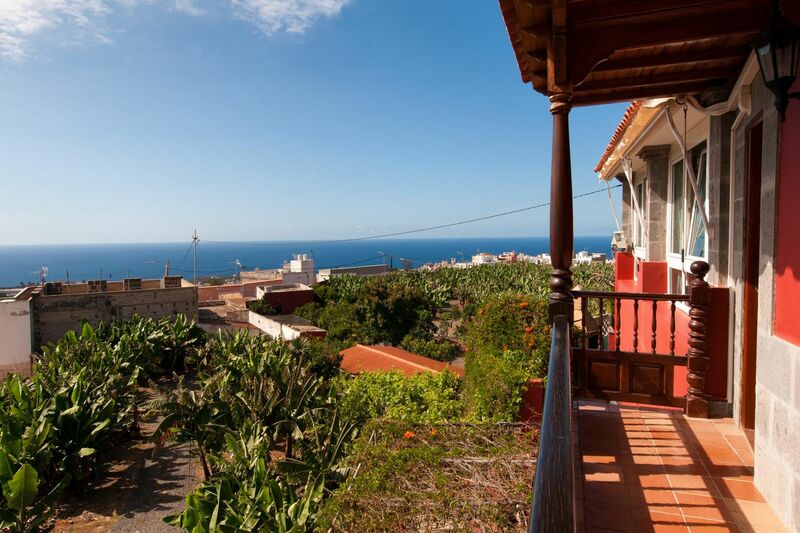 A lovely garret to relax while watching a film or having a nice drink after a long sunny day or a BBQ with friends, will definitely make your holiday become special! 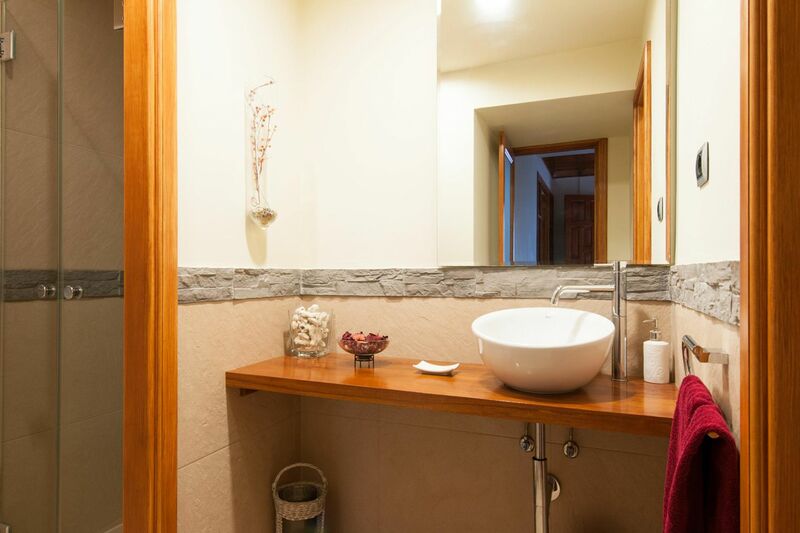 Located near the typical village of Arucas with its lovely old town full of cozy small restaurants and famous Neogothic Cathedral. 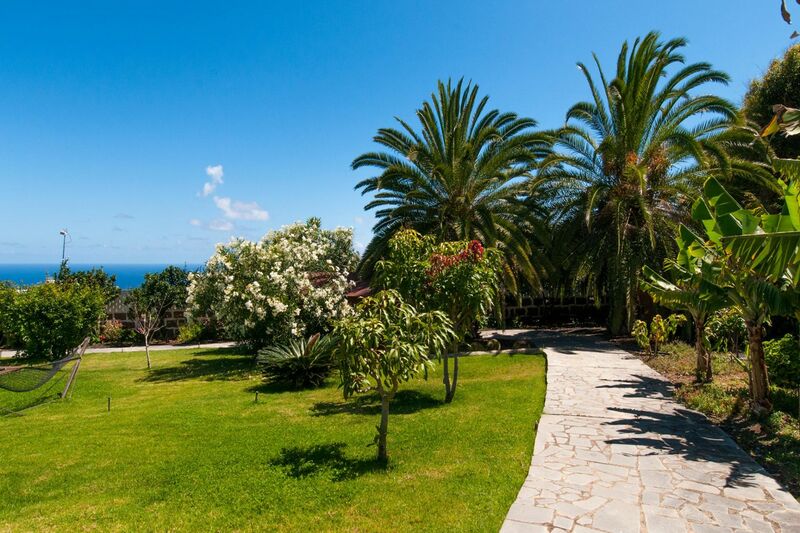 You will enjoy all the possibilities around!